The wheel of the year just keeps turning! This weekend marks Beltane, a transition between spring and summer. In many traditions this is a time to hang out all night around a huge bonfire dancing and singing and carrying on. That's right, partying all night is a spiritual event for some pagans, makes you want to play right? Top to Bottom - Beltane greeting cards (even more fun if you have über-conservative relatives) by FifthRealmPress. Camp never looked like this! 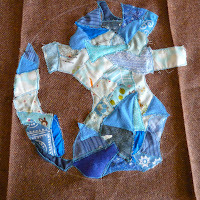 Handsewn Alter cloth honoring the element of fire, from Linemor of Sweden. Fine silver reproduction of a Scythian Deer Brooch from those crazy Germans of Albae. Check out their full collection of metalsmithed goods based on anchient artifacts and techniques! Beltane was a very important Celtic celebration, and a precursor to Mayday. The maypole and ribbon dance are traced back to it. Purifying and cleansing with the fires and ashes prepare one for the new life that summer brings! Lovely yarn (with a hint of magic!) from SolsticeYarns in the colors of hot coals. A finely formed and well painted leather owl mask from Teonova, if you want to party all night in style. A bright and lively limited run print from NtheGroove called "Flame of the Dryads" reflecting the energy of the bonfire. Even if you don't enjoy the Beltane tradition, we can all rejoice in the growing blooms and coming summer months. Cheers! Well, I don't usually re-post things, it's not my style. 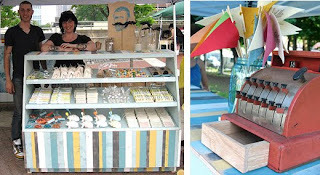 But This post from the blog of the famous Renegade Craft Fairs is pretty much as good as it gets. 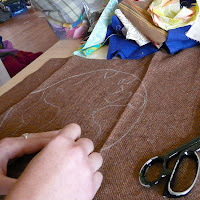 I could have tried to write a big thing on it, and not quite pinned it down. Go look at their ideas for unique fair set-ups, and hopefully get some ideas for what to do with your own 10x10! 5280 Arena CircleLoveland, CO 80538 (Exit 259 off I-25, located next door to the Budweiser Event Center) Hope to see lots of crafty folks and have a good time! 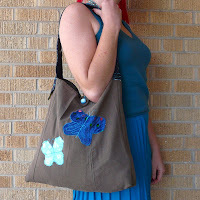 If you don't know, I'm a member of the Carried Away Bag Makers Team on Etsy. We have team challenges from time to time, it's a great exercise in pushing our craft, and it allows us to interact with each other. 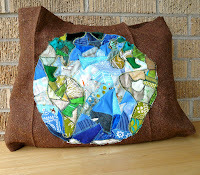 I'm often feeling too busy to participate, but I had to jump in on an Earth Day theme! 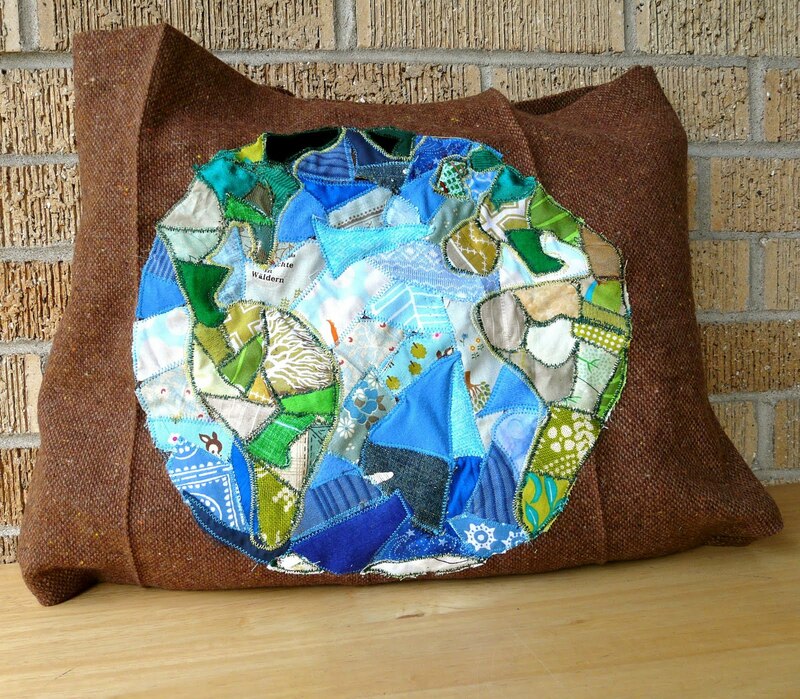 Since all of my work is eco-friendly I felt like I had to kick it up a notch! I'm doing an applique of the world pieced from lots of little bits of recycled fabric scraps. 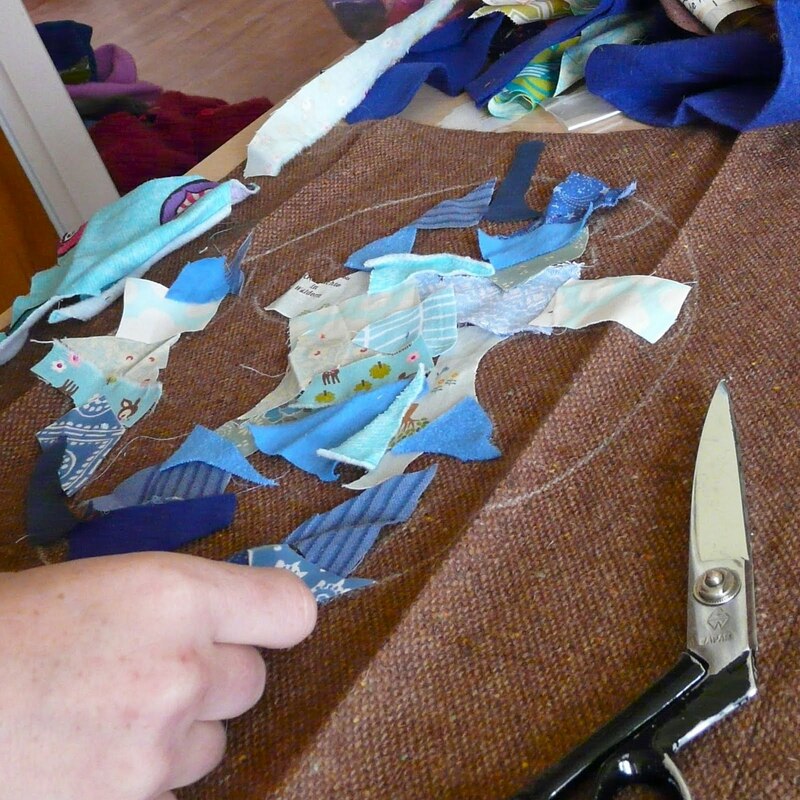 This is a bit new for me, instead of cutting large pieces into shapes I get to put it together like a crazy puzzle. Voilá! Finished the ocean sections, tomorrow I will go in and fill the land with browns and greens. 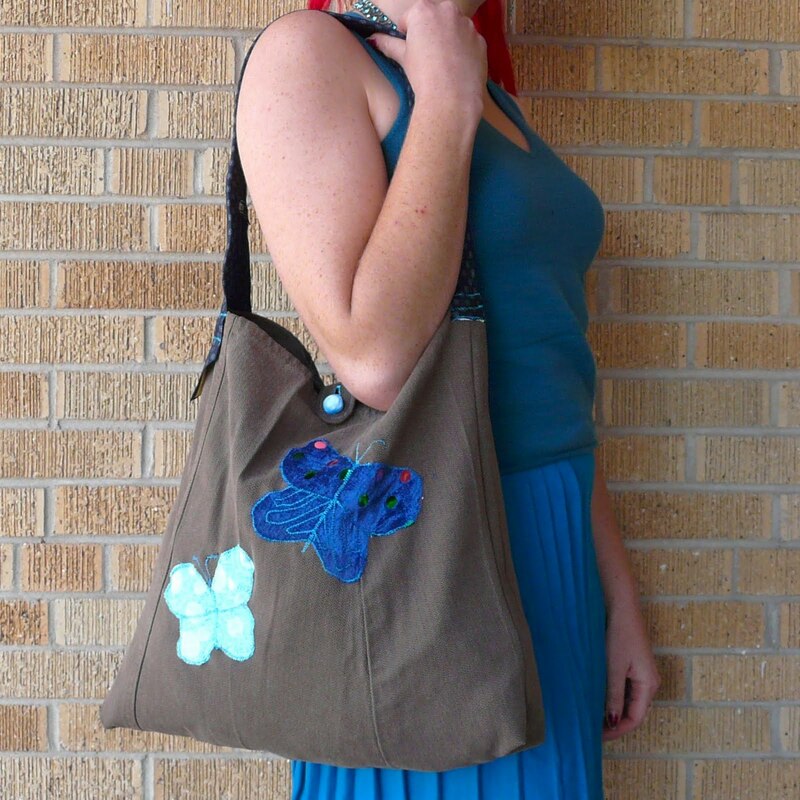 And with the time this has taken, I think I may just keep this bag for myself. Another great treasury, this time the theme is Earth Friendly and it is just in time for Earth Day! 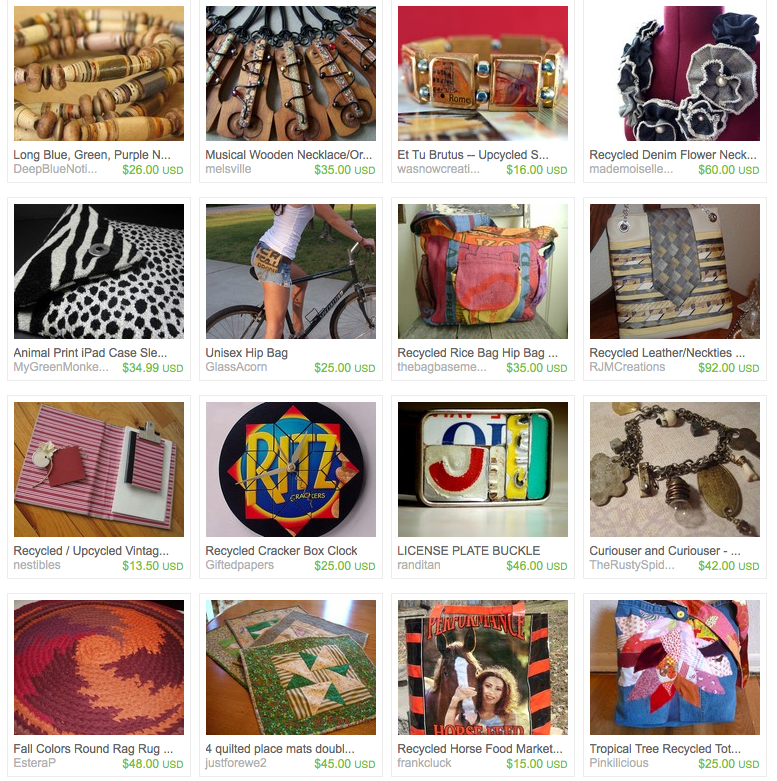 Check out these great finds in this collection by YellowBearStudios. When it's dying day at my house it's a full day's affair. 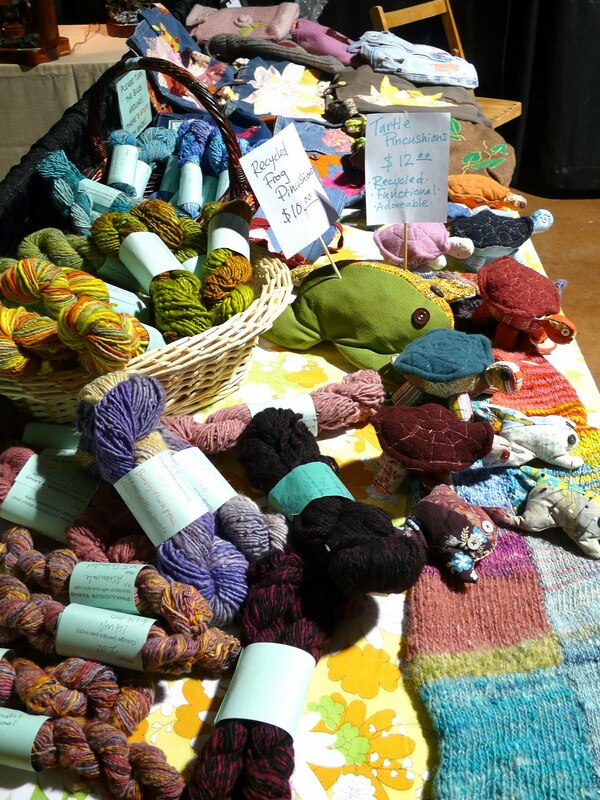 I wait until I have several hundred yards of yarn spun up and ready to dye, then I have to skein it! For some of my yarns I do a long skein method which allows you to fit more colors and makes for less pooling on the finished item. 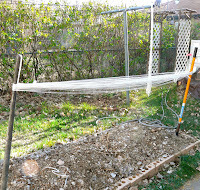 My fancy shmancy device for this... is a pair of shovels set several yards apart. This batch had a skein length of 14ft, which gives me plenty of room for slow color changes. 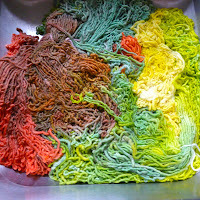 I did three dye baths - green yellow and orange - to make this yarn. 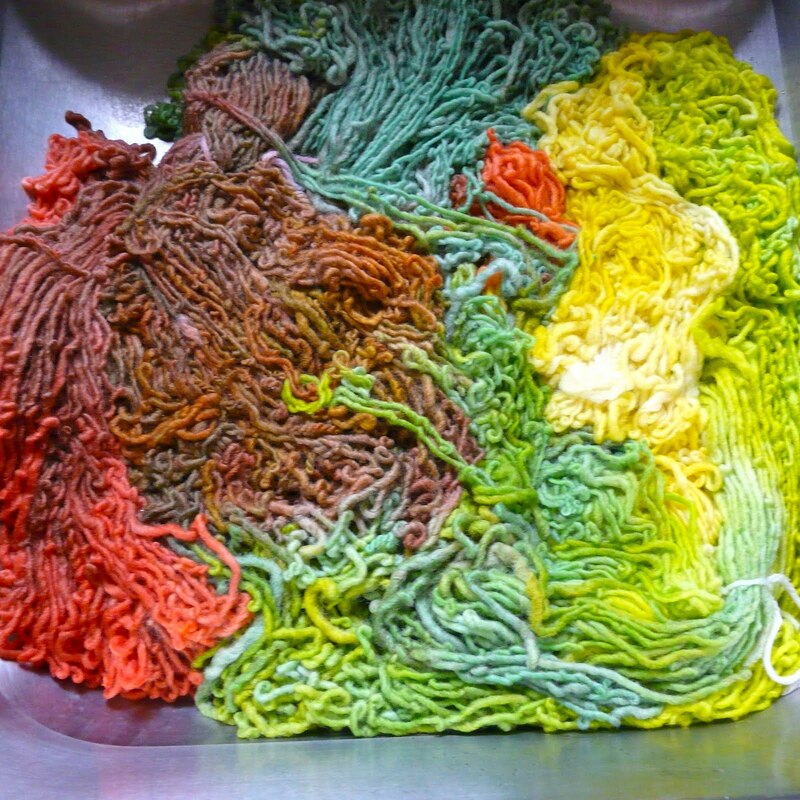 While the pot is going I also wash and dye some raw wool fleece in the same colors to use for blending. So in one day that was 6 different dye sets. 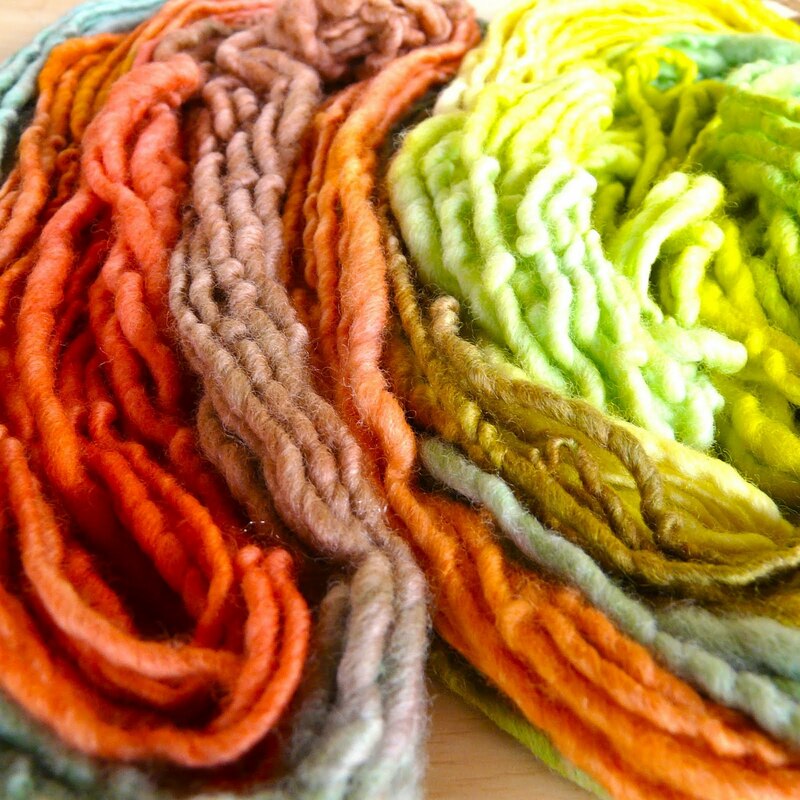 Once dried the long skeins show the color variation you can achieve this way! 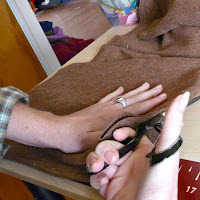 I then skein it back into standard two yard skeins, demonstrating the way the colors will look together when knit up. 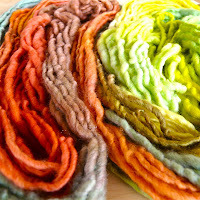 This was an organic Merino roving, and despite being handled so much it is still heavenly soft! 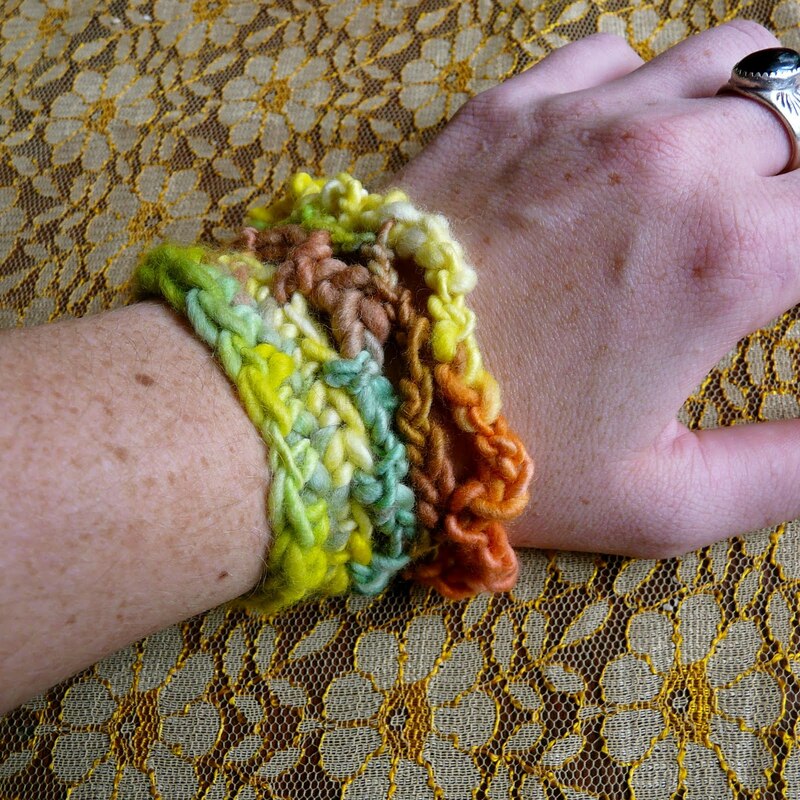 I worked up a few samples with my leftovers, the knit does indeed have a slow beautiful stripe; but the crocheted cuffs I made really let the colors play together and makes it truly look like a field of tulips! 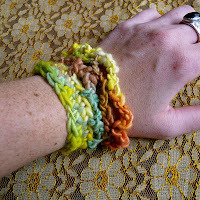 This yarn really has gotten me in the spirit of spring and I can't wait to get things rolling in the garden. 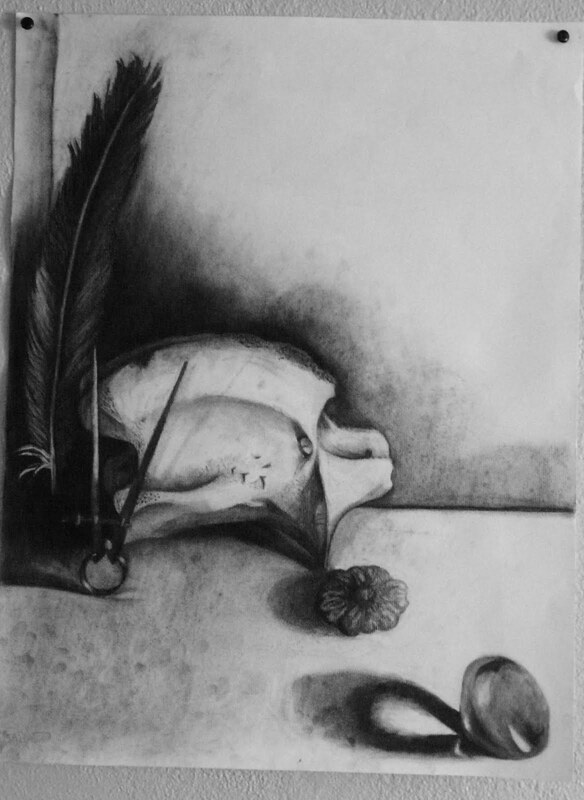 So this semester I'm taking a drawing class at the local community college. Not because I wanted a drawing class perse, but because it's required in the list on onerous pre-reqs for printmaking (whine). That said, it has been an enjoyable class, even when you've done something for a log time it's nice to have someone pushing you to try new techniques, mediums, and do do things you normally wouldn't. This is the first piece I received back, a still life of random objects. 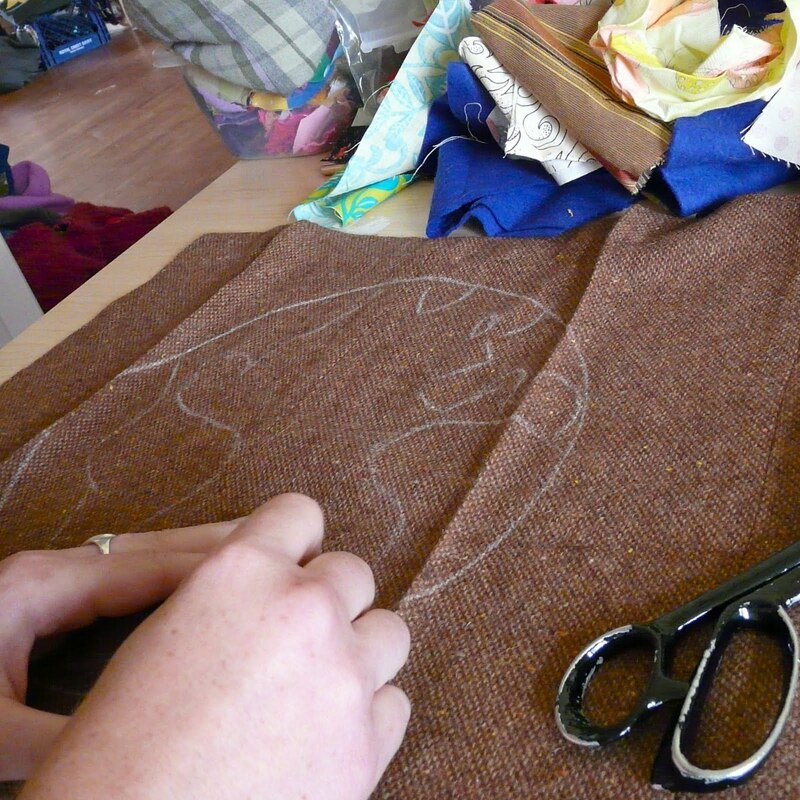 I think that doing an art form with other people opens your mind to new possibilities, have you taken classes or joined groups to push the limits of your craft? We all have good ideas, but some people have ideas so good it changes the world! This week's Finds is dedicated to those Inventors who are dreaming big and making messes. 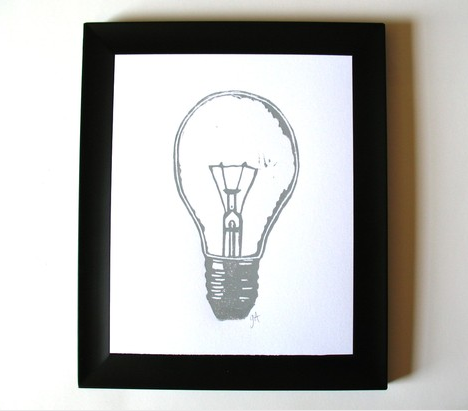 And to inspire those bright thoughts, how about this nice bulb print from TheBigHarumph to sit in your creative space? 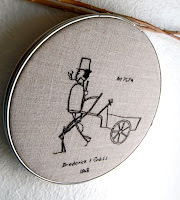 And how could I do a post without a bicycle? Although, this is not a simple safety bike... 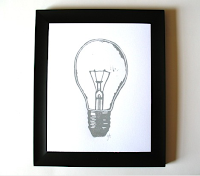 This digitally altered ink drawing from BarkingMadArts celebrates inventions, calculations, and thinking on the go! And in causes me to want to try and build such a thing... 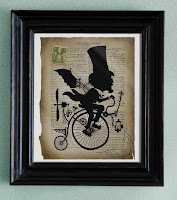 But best to leave such things to a Victorian Inventor. Here's to dubious ideas! Who knows what this guy is doing with his walking cart contraption, but he must be enjoying it because he's got his pipe out... Hand embroidered by Waterrose and fitting with decor that is sleek and simple, or the clutter of an inventor's workshop. 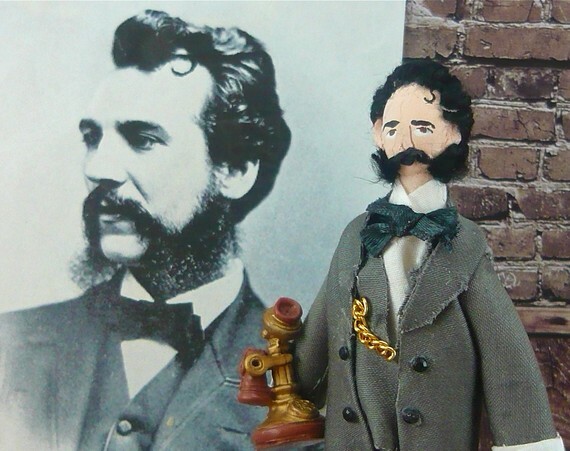 Here's a celebration of a communication pioneer and his fabulous mutton chops (that's the facial hair folks). An Alexander Graham Bell doll from UneekDollDesigns pays homage to the father of the telephone and is a neat miniature that almost begs to have a miniature workshop built for it! 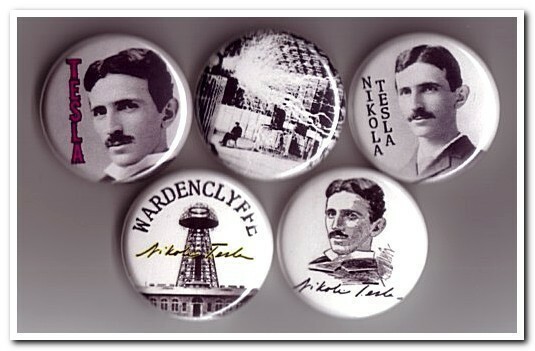 And of course, a place for inventions of your own! Because any thing put in a book like this will automatically become a good idea...right? 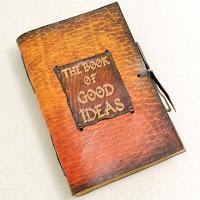 This wonderful handmade tome from GILDBookbinders is sturdy and timeless, perfect for a journal or sketchbook to hold those brilliant thoughts. 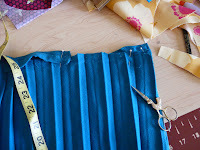 Tutorial - resizing a vintage skirt. 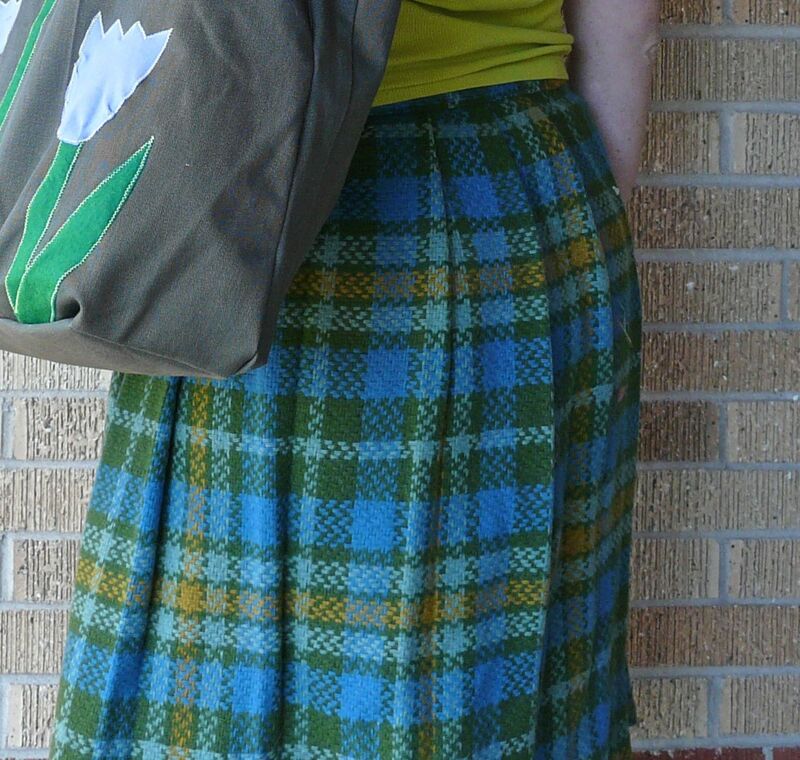 After finding a pile of lovely skirts at an estate sale, and when getting home and discovering that they are all about 24 inches around... 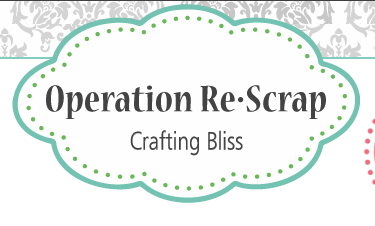 I headed for the craft room! 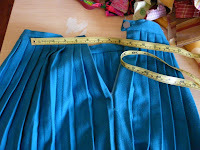 I only needed to add a few inches to make this fit at the waist, and since they're pleated there is plenty of extra to go around. 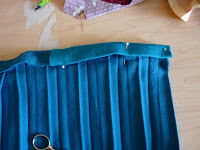 I carefully cut the stitching back on a few pleats until the skirt was the correct width. 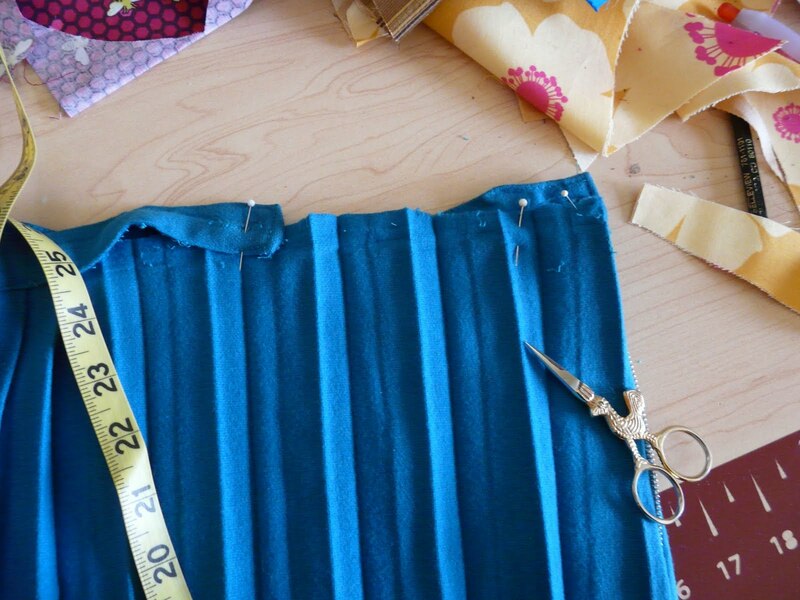 I decided no to iron down the pleats, since leaving them gave the illusion that the skirt was still pleated all the way around. I used a piece of wool felt in nearly the same color to fill the gap. 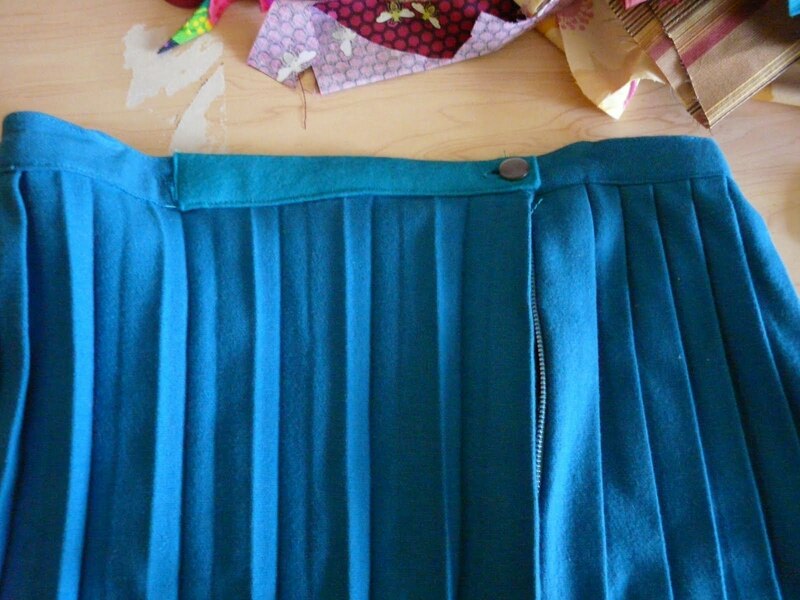 These skirts have a sizable hand turned hem, so if I wanted a perfect match I could steal some strips from the bottom and tack the new edge down. 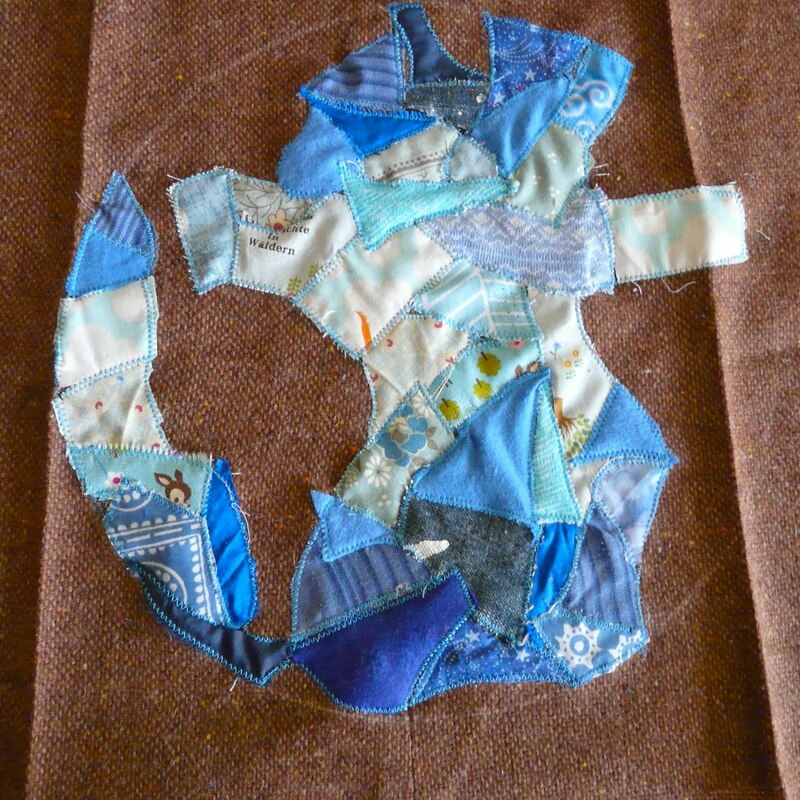 I top-stitched it all in place, and made a new button hole for the existing button. 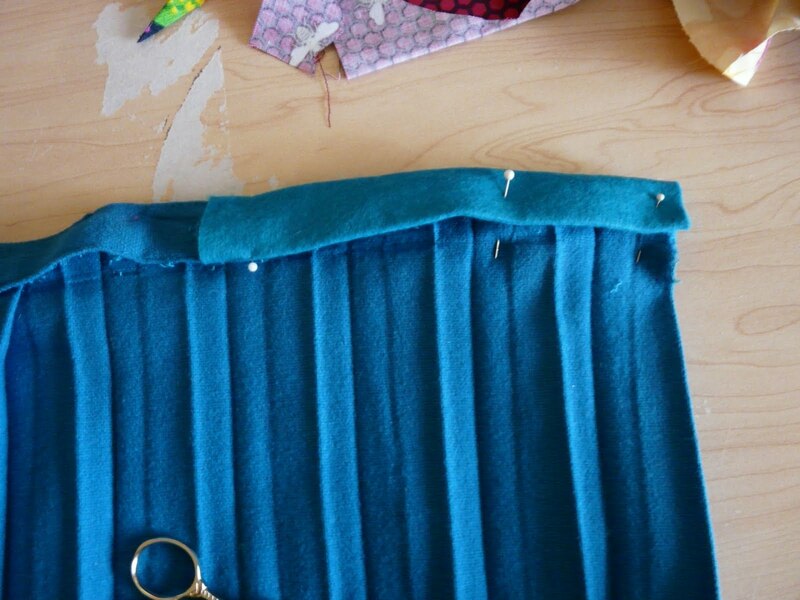 I never even had the touch the zipper in all this, I just made sure that when buttoned the sides still line up. 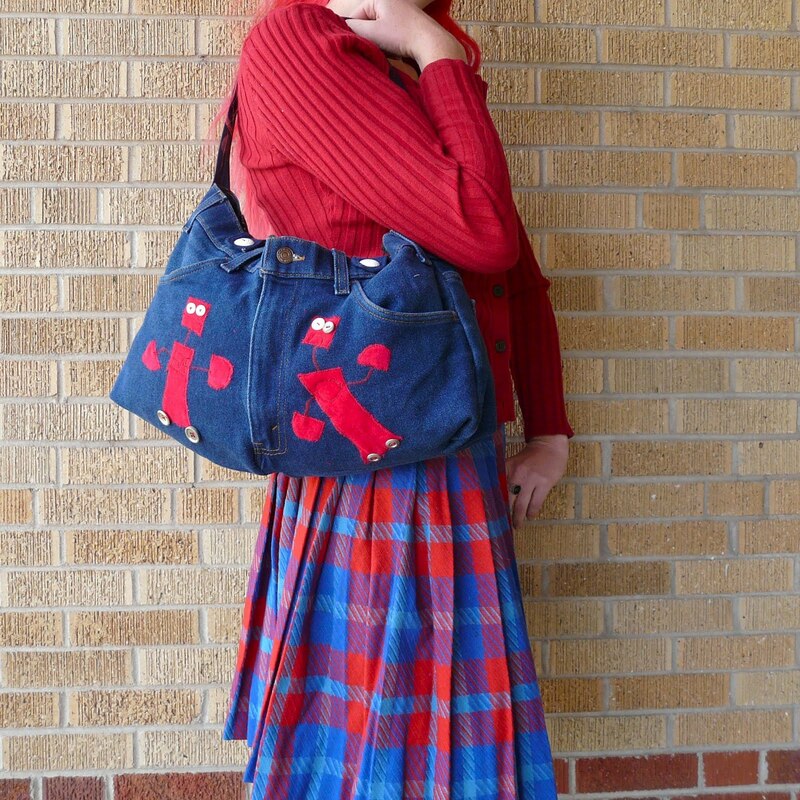 On this red and blue plaid there had been a long overlap on the closure, so once I unfolded it a bit it didn't want to sit closed, I just added a zipper to it. I even went dancing in this skirt, it spins like a dream and the waistband is sturdy enough for that kind of excitement. You don't have the make the changes where the skirt closes. 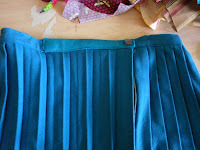 This skirt had a cute little strap closure, so I opened the waistband in the same manner on the far side from the closure. 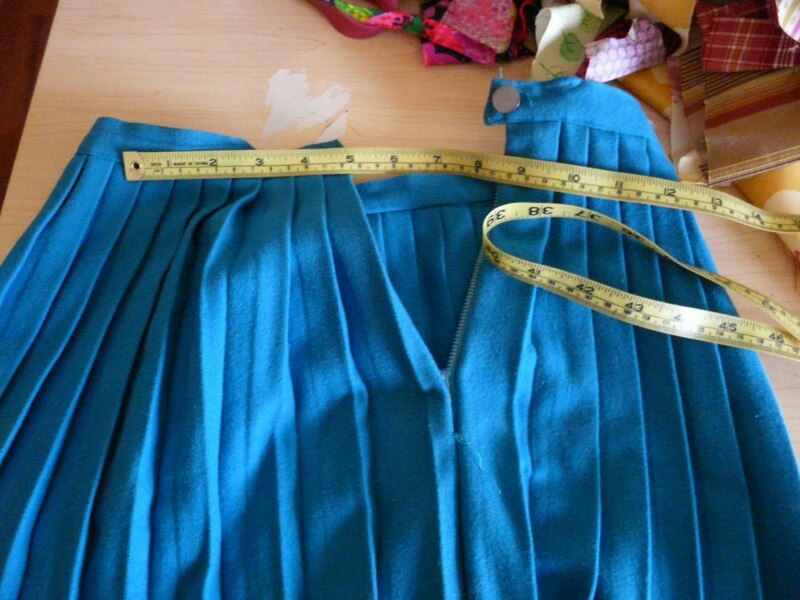 It is always best of change the sizes of garments on the side so the drape of the front and back aren't changed too much. So never be afraid to grab a good deal just because you can't try it on, there are lots of things to do with that clothing if it doesn't fit quite right! There were many interesting panels at Anomaly Con that focused on making your garb and accessories. In fact one panelist had a moment of great wisdom and remarked - "If you just go buy a ready made outfit, then it's just a costume. 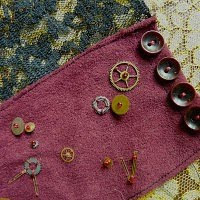 The 'Punk' part of steampunk implies you made things yourself" If you aren't ready to start sewing boned corsets, check out these two tutorials about making cuffs, and embellishing them. 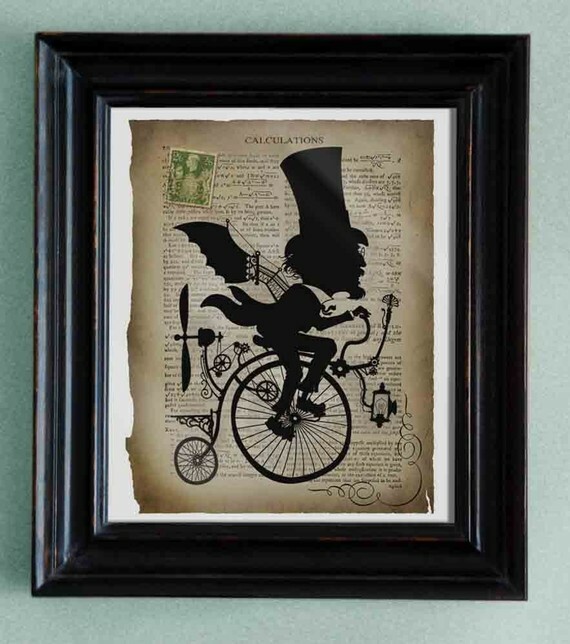 Even if you aren't planning on creating a Victorian persona they can be a nice touch to a modern outfit as well! 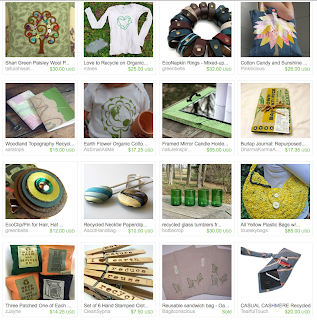 Another cool treasury feature, this time the theme is Eco Friendly Crafts, by TamarGoEco.